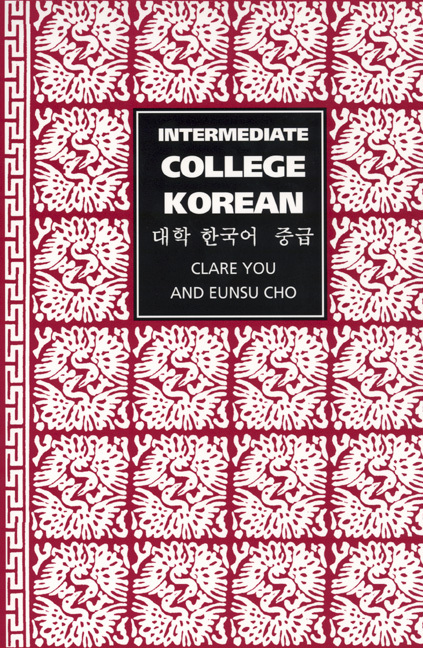 This companion volume to College Korean (California, 1992) enables students to continue their development of Korean language skills and to enrich their understanding of Korea. Because language is a fundamental component of culture, the text incorporates themes relating to Korea's cultural customs and social issues, presented in the form of dialogues, anecdotes, short essays, and poems. Also included are themes tied to the country's physical geography, including major cities, islands, and historical sites. Each lesson consists of a situation dialogue, core vocabulary, idiomatic expressions, grammar, and exercises on reading and listening comprehension. The vocabulary uses adult-level words from the media and professional worlds and ranges from computer terms to martial arts. 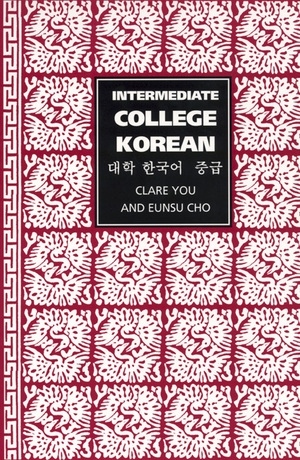 Unlike other Korean language texts, Intermediate College Korean goes well beyond everyday survival skills and offers students a much wider exposure to both the language and culture of Korea. A reference section includes an index to patterns and grammar notes, a glossary, spelling tips, a list of connectives, and irregular verb charts. Clare You is Lecturer in the Department of East Asian Languages at the University of California, Berkeley. In 2003 she was awarded the Korean National Silver Medal of Culture for her work in the advancement of Korean culture, including language texts and translations. Eunsu Cho is Assistant Professor in the Department of East Asian Languages and Cultures at the University of Michigan, Ann Arbor.